recognised by the Chief Medical Officer in England as second only to air pollution in damaging public health. 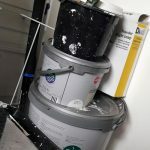 the pollutant that has the greatest impact on our quality of life. 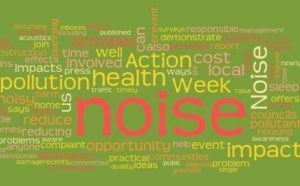 Managing noise complaints can cost councils £130 – £7k per complaint, in addition to the cost it has to our health in terms of lost sleep and reduced performance at work or study. Music and TV were the noises most complained about to councils in 2016 – so the solution can be as simple as turning it down. Department for Environment Food and Rural Affairs. National Noise Attitude Survey 2012 (NNA2012), December 2014. European Environment Agency, Noise in Europe 2014. 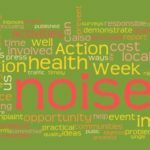 A Noise Action Week – initially an annual day – to raise awareness of noise has been co-ordinated by Environmental Protection UK http://www.environmental-protection.org.uk/ since 1997. The week is run on a small budget. We are grateful to our 2018 sponsors – Institute of Acoustics, Bruel and Kjaer, Cirrus Research Ltd, Defra, University at Weston and the Bristol Gloucestershire, Somerset & Wiltshire Environmental Protection Group.